Who says you can’t swim year-round in Northeast Ohio? Whether your little fish is entering the water for the first time or they have already perfected their cannon ball, there is a class out there to meet your needs. These indoor locations allow your child to become accustomed to the water for a more prepared and safer swimming experience this summer. 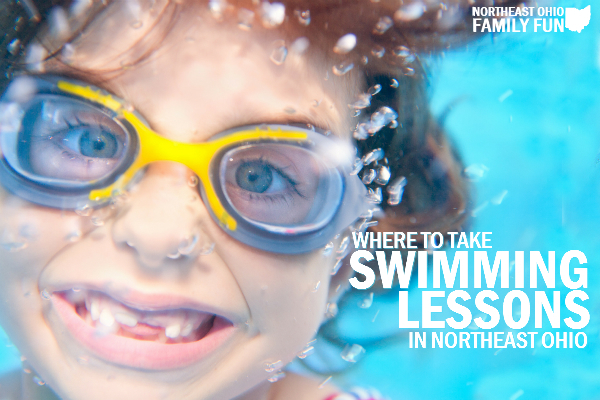 Did we miss your favorite place to take swimming lessons? Leave us a comment below and share with other local parents! Goldfish Swim School provides year-round swim instruction to children ages 4 months to 12 years-old in a unique setting with highly trained instructors, small class sizes and shiver-free 90-degree pools. Lessons start at $84/mo. Year-round swim instruction to children ages 4 months to 12 years-old in a unique setting with highly trained instructors, small class sizes and shiver-free 90-degree pools. Goldfish Swim School also offers weekly family swims (for both members and non-members) as well as party packages.